Things On a Table starts with a table in the dark. 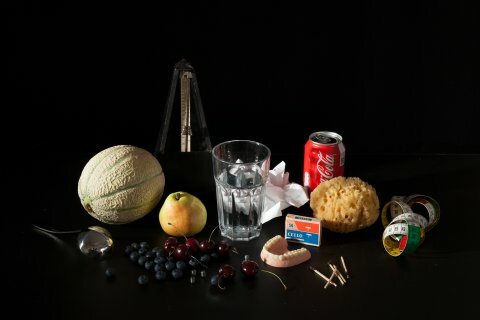 On this table – a metaphorical tabula rasa – ordinary everyday objects, paper, milk, ink, an apple, a glass of water, are manipulated into a series of assemblages, cajoled into compositional exactitude, lit and framed by a camera connected to a projector. 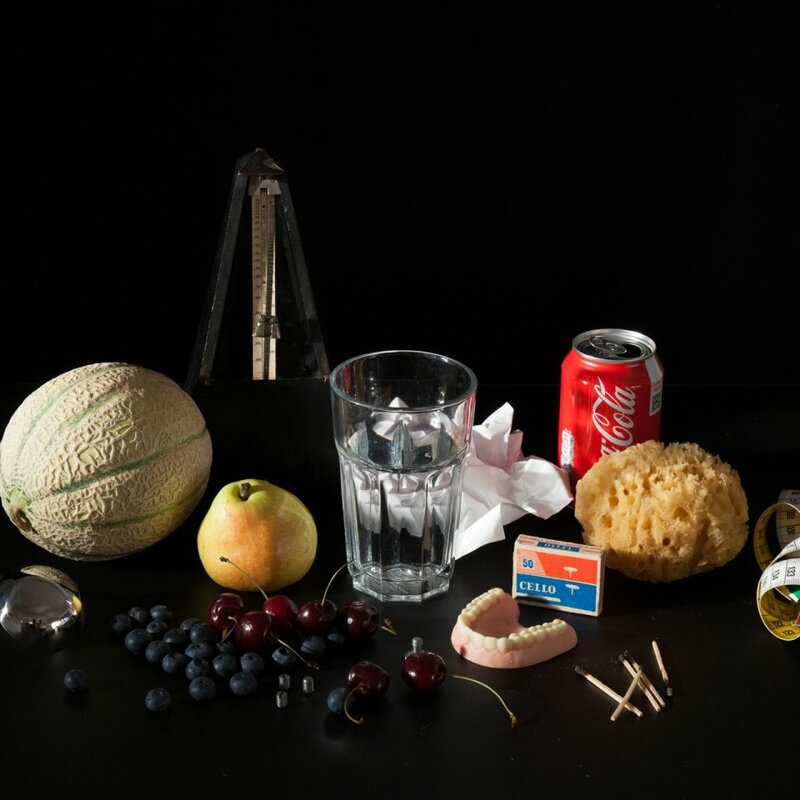 Choreographies emerge from the assembly of objects witnessed by the camera but also from the movements of the people creating these assemblies, arranging object, light, camera – as alchemists extracting the magical from everyday material. Eva Meyer-Keller works at the interface of performance and visual art. Her working method is marked by a constructive disregard for the imposition of any boundary between visual and performing arts. She has presented her work internationally in a wide range of contexts and sites. These include the performances DEATH IS CERTAIN (2002 performed in more than 200 venues around the world), PULLING STRINGS (KunstenFestivaldesArts, Brussels, 2013) and HANDMADE (NGBK Berlin, Bonniers Konsthall Stockholm, Palais de Tokyo Paris). 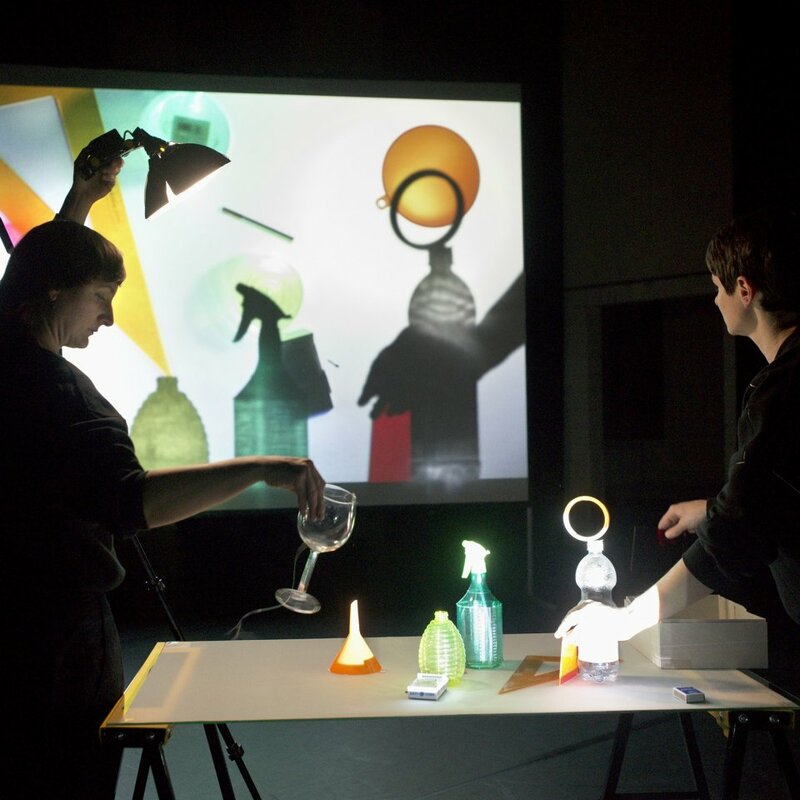 Eva develops projects alone and in collaboration with other artists, such as Sybille Müller and Kate McIntosh. She has worked with Baktruppen, Jérôme Bel, Christine De Smedt/les Ballets C de la B (9×9), Juan Dominguez and Agnes Meyer-Brandis. Katrin Hahner is a multidisciplinary artist working in the fields of music and visual art. Her education includes studies at Akademie der Bildenden Künste/ Stuttgart and Kunsthochschule Berlin Weissensee. Under her alias MISS KENICHI she has released three critically acclaimed albums of her music. The compositions are used in film and she purposefully collaborates with filmmakers and other artists, for example Swedish composer and audiovisual artist Marcus Fjellström or German director Irene von Alberti for music videos. She performs her music all over Europe in various constellations and spaces, often blurring the line between art and pop. Across the disciplines her work centers itself around mapping out the inner landscape, the search for identity and the interplay of absence versus presence. Concept & performance: Uta Eisenreich & Eva Meyer-Keller. Music: Katrin Hahner. Technical direction: Björn Stegmann. Clothes: Elisa van Joolen. Production: Alexandra Wellensiek. 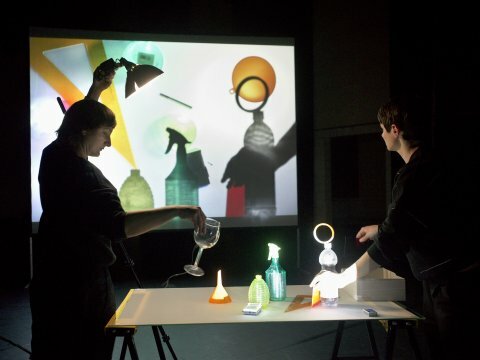 Co-production: PACT Zollverein (Essen), Internationales Figurentheater-Festival (Erlangen), MDT (Stockholm), EdB Projects (Amsterdam), Mondriaan Fonds (NL). Supported by: Nationales Performance Netz (NPN). Coproduction: Fund for Dance and International Guest Performance Fund for Dance, which is funded by the Federal Government Commissioner for Culture and the Media on the basis of a decision by the German Bundestag. Thanks to: Birgit Schachner, Sharon Smith, Anouk Beckers, Rebecca Sakoun and Manuel Lindner.